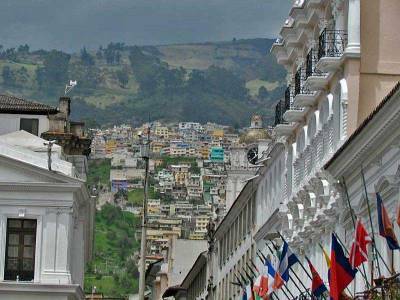 The Old Town is a must when you visit Quito. 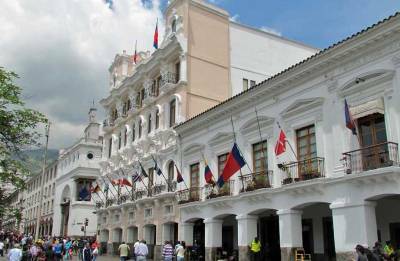 It centers on the Independence Plaza (Plaza Grande) including the Cathedral of Quito, El Sagrario Church , the Government’s Palace, the President’s Palace and the Archbishop’s Palace. A few blocks from the plaza, you will find the Monastery & Church of San Francisco at San Francisco Plaza. 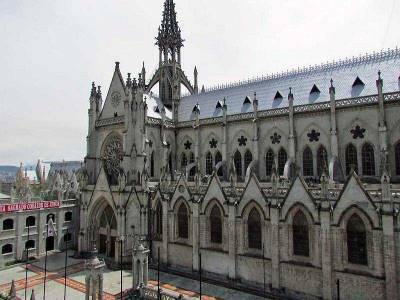 Also within 2 blocks of Independence Plaza, you can see the Merced Church and the Church of the Society of Jesus, also known as La Compania. About 6 blocks south from the plaza, visit the Church of Santa Domingo. Teleferico – gondola ride from the city center to Cruz Loma on the east side of Pichincha volcano. This is one of the highligts of a visit to Quito. You can hike or horseback ride at the top. Also rent a mountain bike which can be mounted on the gondola. Then ride the bike back down the hill. Basilica del Voto Nacional – this popular attraction is located just north of the Old Town. You can also pay a little extra to climb the stairs to its roof top. 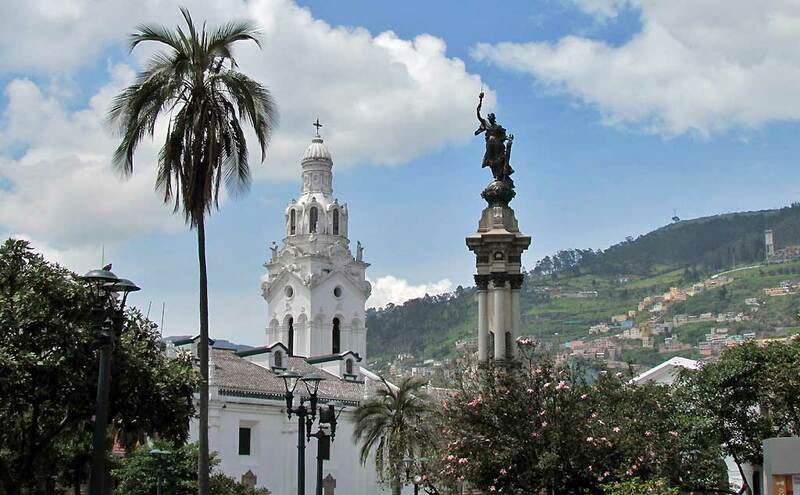 Panecillo Mirador – near the Old Town, catch views of colonial and modern Quito, plus the Pichincha volcano. San Juan district for views over the colorful barrios on the hillside above the old town. 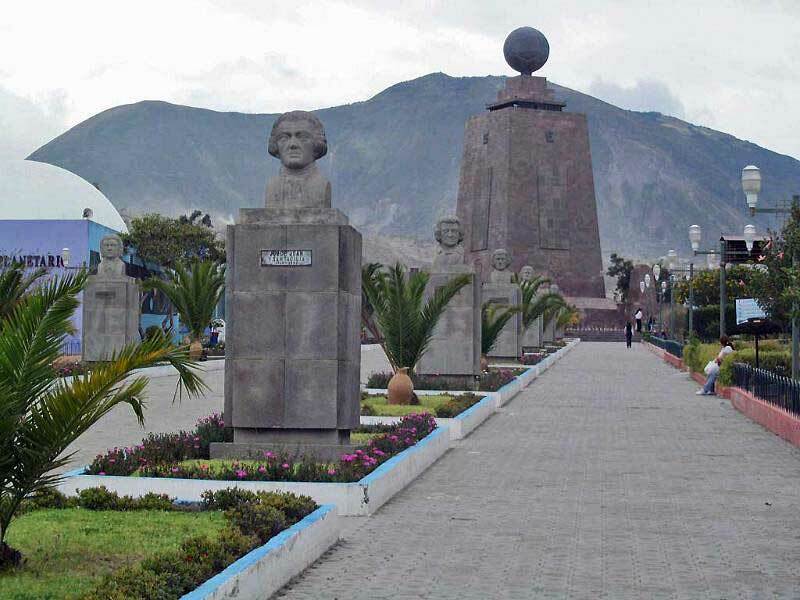 La Mitad del Mundo (Middle of the World) marks the equator at a location 15 miles north of Quito. This is a standard tourist stop. 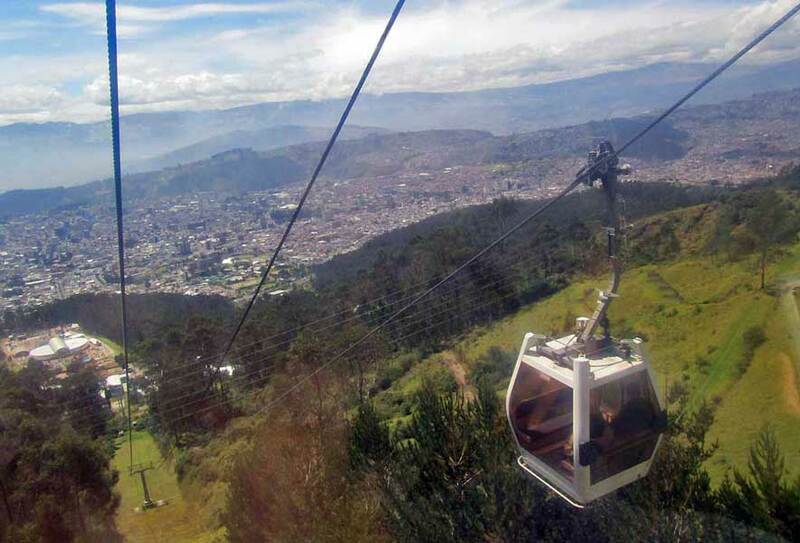 You can access the site on a tour such as City Tour plus Middle of the World and Teleferico Cable Car. If you cab or bus to the site, you pay a few dollars to enter. The official marker and statues are impressive. The site was built by the Ecuadorian government to draw tourists, but they’ve been out marketed by Museo de Sitio Intanin. 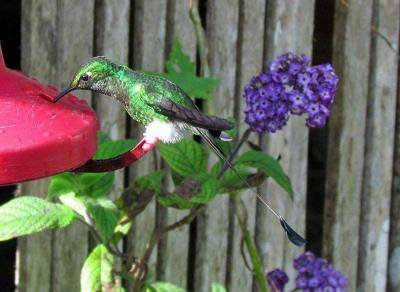 Walk 10 minutes from the Middle of the World monuments to Museo de Sitio Intinan. The entry fee in 2012 was $4. They claim that their site is truly placed on the equator, because the government made an error with their marker. A guide helps you with balancing an egg on a nail and conducts a display showing water go down a drain without any spin. Then the guide demonstrates alternating drain rotation on either side of their “truly accurate equator”. The experiment is impressive slight of hand. So is their stone path that you can’t balance on because it is “perfectly aligned over the equator”. Nothing like a convincing magic show to attract tourists. Much more fun than the government’s site, although they are taking steps to compete. Hilton Colon – modern, with excellent service and reasonable rates. 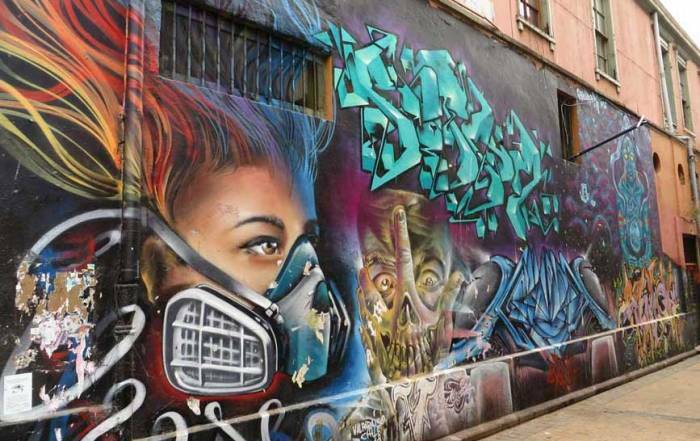 Located in the popular hotel area near the Basilica del Voto Nacional. 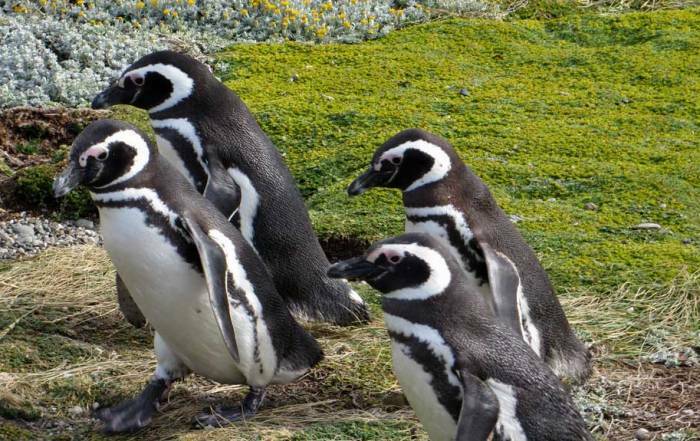 Take a day trip to Cotopaxi National Park. Catch a close up view of Mount Cotopaxi. It’s also visible from places around Quito. Cotopaxi is the highest active volcano on Earth. 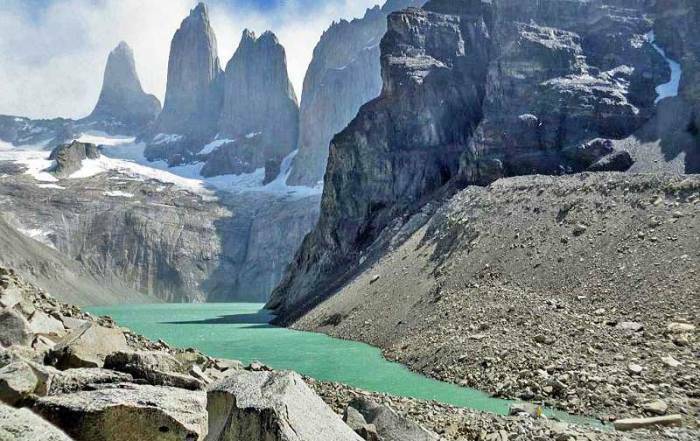 For less than $100 US you can take a cab 1.5 hours each way and they will wait for you while you hike to the refugio or glacier. 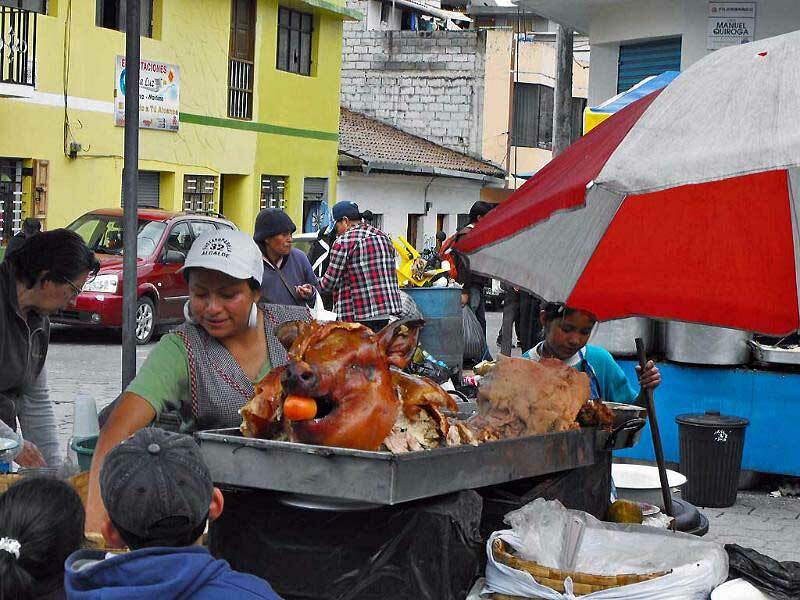 Take a day trip to Otavalo Marketplace. 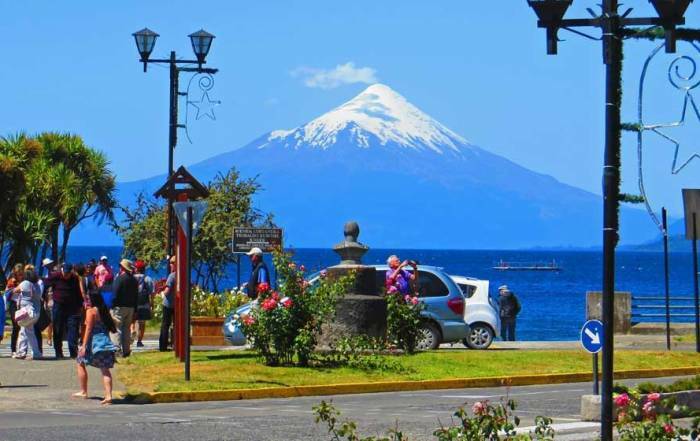 Tour Cotopaxi and other mountains in Ecuador’s Valley of the Volcanoes. 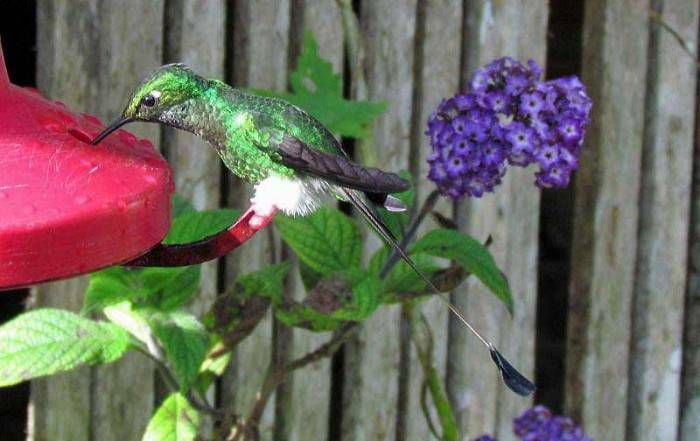 San Jorge Eco-Lodges and Botanical Reserves (4 lodges near Quito, bird watching, especially hummingbirds). The temperature in Quito is very consistent year round, because of its location on the equator. Its altitude at 9,300 feet (2,800 m) moderates the temperature. Highs are 65 F (18 C) and lows are 48F (9 C) regardless of the time of year. Precipitation is common year round, however July and August are noticeably drier. 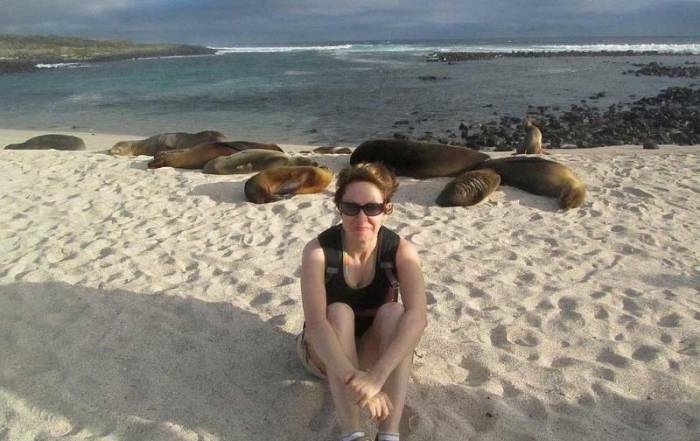 The timing for tourist visits is more dependent on their Galapagos itinerary than on the weather in Quito. The Quito International Airport is one of the busiest airports in South America. It became operational in a new location in 2013. 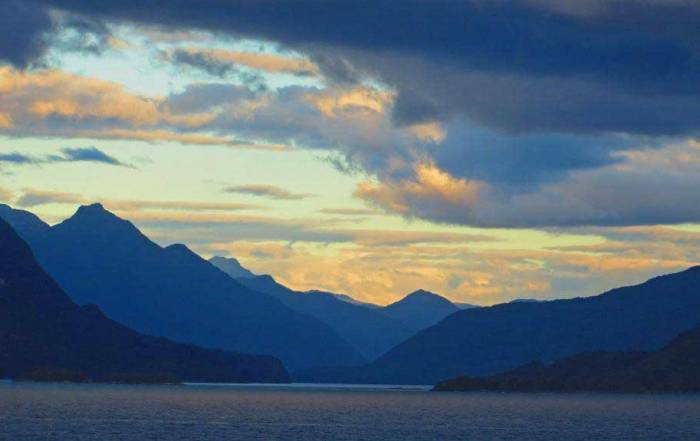 The new location is about 20 minutes northeast of Quito. The old airport, with the same name, was located downtown. Landing at the old airport was an adventure, because the approach was into the hillside with the downtown rising at the same time as the plane was descending. There is no rapid transit system in Quito, so be prepared to negotiate a reasonable fare from the airport to your destination. Several hotels also offer shuttle services. Taxis are the best method for seeing the town as well. Cabs will wait while you visit destinations such as the Teleferico or La Mitad del Mundo. Hourly rates for cabs are reasonable, but need to be negotiated in advance. Hotels can also guarantee rates for cabs that they call. Quito is located on the eastern slope Pichincha, an Andean volcano. 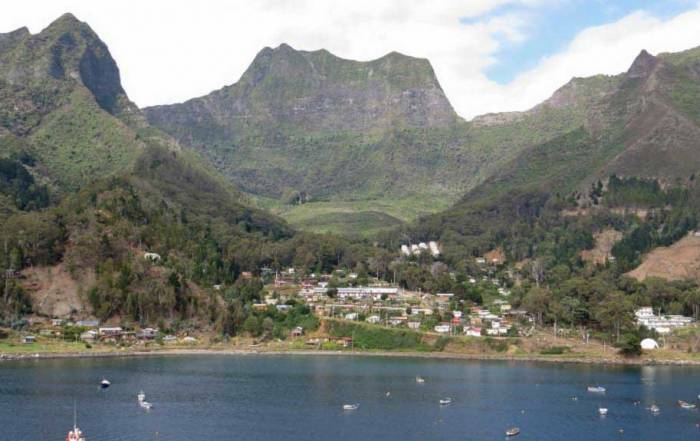 The city’s elevation is about 9,300 feet or 2,800 meters. It has a population of just over 2 million. The city is located about 10 miles off the true equator, which is marked at La Mitad del Mundo. Quito is one of the first UNESCO World Cultural Heritage Sites. 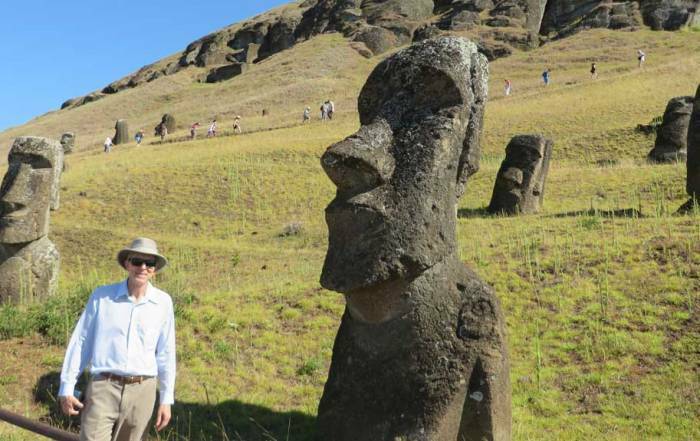 Quito is the point of origin for trips to the Galapagos and Celebrity Cruises has a visible presence around the city. Their excursions on the Celebrity Xpedition begin here. 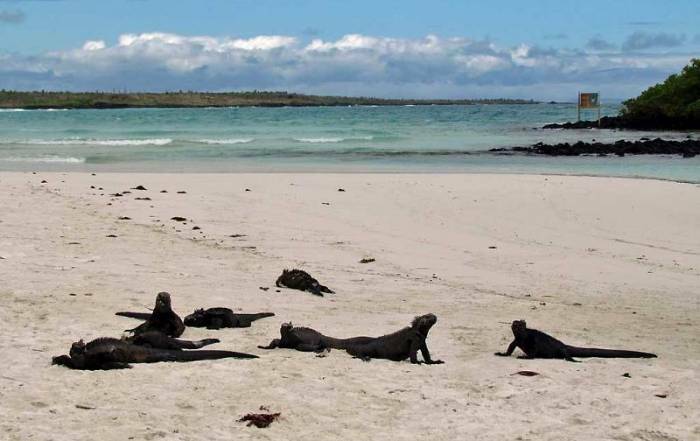 All Galapagos air traffic starts at Quito and stops at Guayaquil before crossing open ocean to reach the Galapagos.